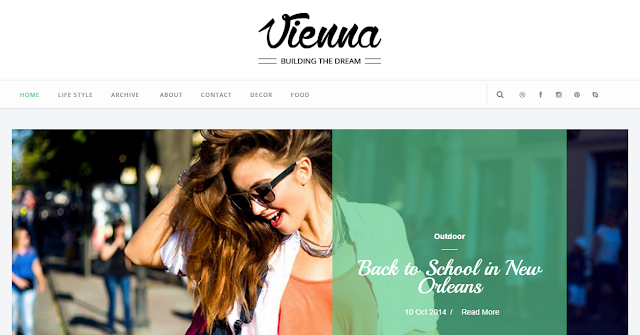 Today i'm gonna give you another Classic magazine Template which is designed juts for Writers and Digital Magazine Owners .. Vienna Blogger Template is a classic and Adorable Theme for Magazine Blogs .. Elegant Slider with massive Wide Images content attracts the million of users around the world .. High custom programming with Latest Bootstrap version has been used for this amazing template .. Front page slider increases the beauty of interface .. Vienna Template has Marvelous and Classic Menu Bar with Adorable Drop Down ..Social Bookmarking and Social Widgets are Ready to use .. Wide content Area with images Widget gets the million of views .. Vienna Blogger Template is totally Responsive theme and Mobile Friendly like G Vusion 2 , All Tech Buzz and Astonish templates because of using latest Version of Bootstrap and Custom programming .. Vienna is fully SEO optimized template and Fast Loading template ever ...it is also Ads Friendly you can monetize your ads with this amazing templates whatever Adsense or others .. you can Download this Marvelous template for your Blogger free from below .. 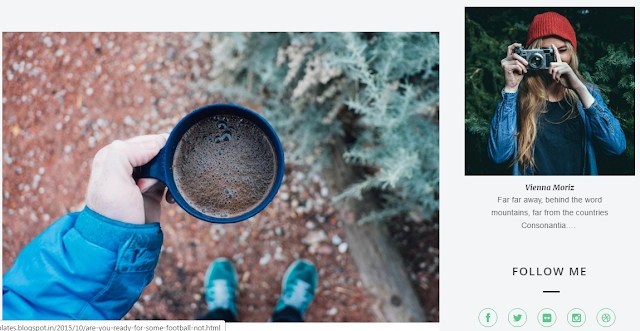 But first let me show some Advance Features of this Template ..
Classic Front Page Slider with Amazing Jquery effects ..
Vienna is Totally Responsive and Mobile Friendly for users ..
Template has Fast loading Speed and User Friendly ..
Advanced SEO optimized Template ever .. Wide Content Area With Images Widgets ..
Adorable pagination and Elegant footer with Images Widget using Marquee Tag .. So here we go , now i'm going to provide you according to Writers and Digital Magazines Owners desire and demand "Vienna Blogger Template Free" .. Many of professional Writers requested me for this marvelous template that i share that kind of template which is totally designed for magazines .. So that's why i'm gonna share this template with them and all for those which are interested in blogging and blogspot .. you can Download this template from below Download Button but keep remember that this template is totally Free , you can edit this product according to your design and desire if you have some basic knowledge about HTML and CSS ..
Download Vienna Blogger Template Free from above Download Button ..
After Download this template Extract the Zip file , then there you'll find Vienna-Free.xml file ..